Pizza dough recipes are often a close-guarded secret. 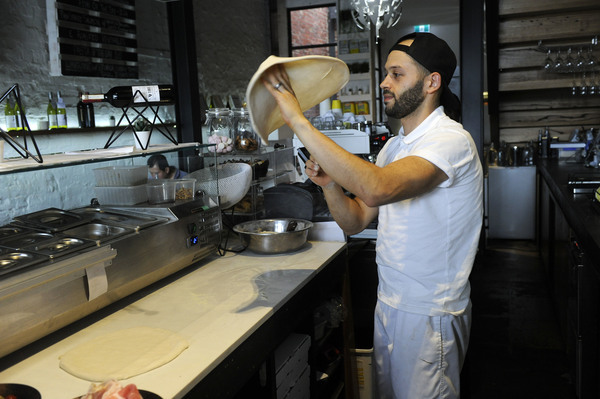 Fathers don’t even hand down recipes to their sons, says ‘Kappa’ – the head chef and co-owner of Oro Bianco, Dandenong’s latest Italian fine-dining mecca. As a child apprentice, he was able to winkle out a few “bits and pieces” from masters in kitchens back in Italy. “As a kid, you are under-estimated,” he says. He’s rejected offers of up to $6000 for his dough recipe. Six years ago, Kappa settled in Melbourne with wife Megan Harper. He arrived in one of the world’s best food scenes, he says. 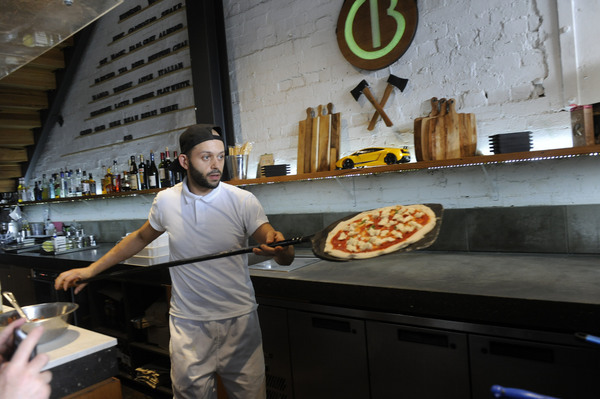 It’s a big deal to be a pizza maker in Italy, and the value of a fine-tuned dough is plain to see at Oro Bianco. The restaurant name literally means ‘white gold’. Kappa says much of the flour dough is water and air, with a small amount of yeast. 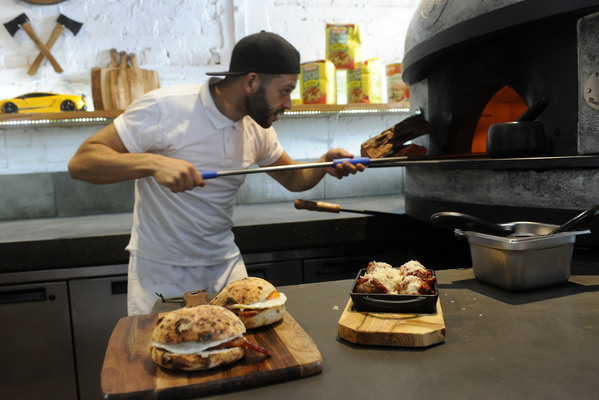 It ferments quickly in 24 hours, is less filling than other doughs and forms a bubbly base for the luscious toppings. “It’s more than what you put in it,” he says as he flings and stretches a ball of dough into a thin circular base. 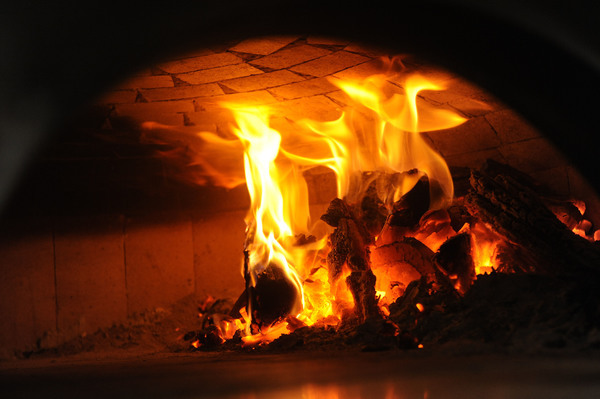 It cooks in about a minute or so in the 400-degree heat of the customised wood-fire oven. 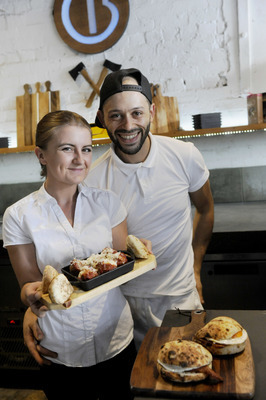 Oro Bianco is a blend of simplicity, authenticity with high dining. 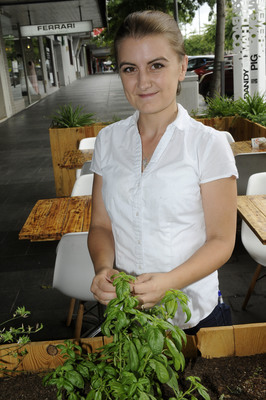 It uses herbs picked fresh from its own pots on Lonsdale Street. 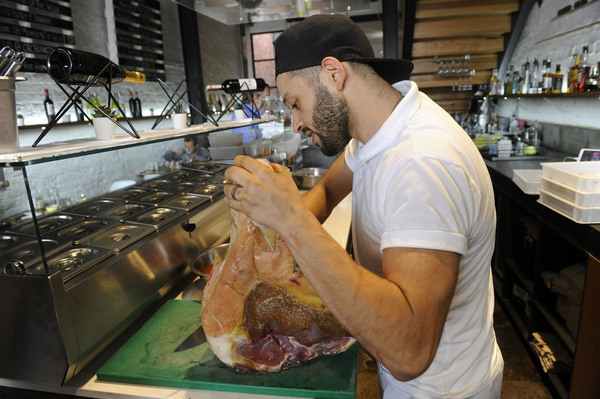 Much of the other ingredients are imported from Italy such as the Caputo flour from Naples and San Daniele prosciutto that Kappa says is one of the world’s best. 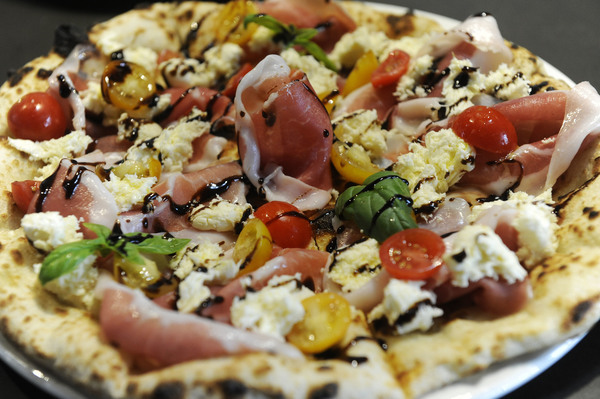 The prosciutto is generously bunched on the Caprese pizza – a sweet, winning blend of balsamic glaze and bocconcini with a burst of red and yellow cherry tomatoes and rocket. There’s terrific inventiveness – a Silence of the Lambs pizza of pulled lamb, tzatziki, eggplant and the sweet acid of pomegranate. Others feature pork belly, chorizo, and a dense range of fresh vegies and cheeses. 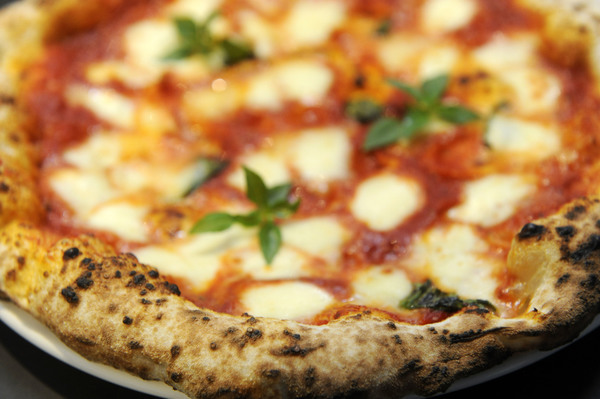 There’s also the traditional margherita pizza and the option to choose your own ingredients. 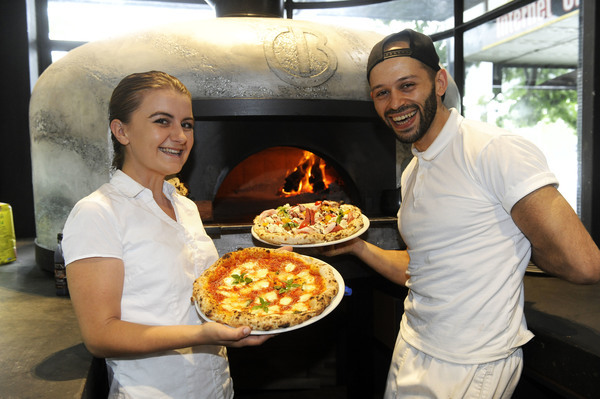 The glowing 1.8 metre oven is the perfect size for a new range of metre-long pizzas – as well as the wood-fired lasagne, gnocchi and tender beef-veal meatballs. Look out also for the spectacularly decorative Italian donuts with either Nutella, white chocolate and caramel sauces. Highlights on the breakfast menu from 7am are the fresh muffins, and bacon and eggs in buns.